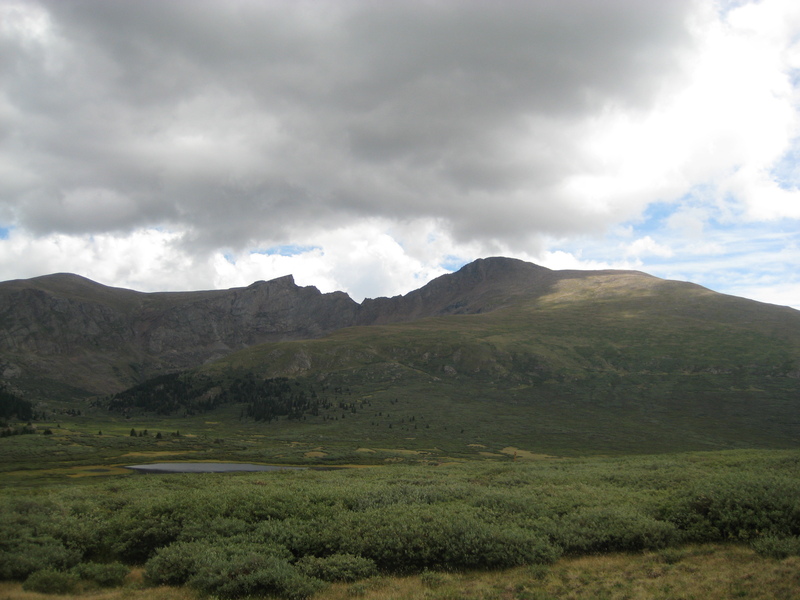 This post, I mused while hiking up Mt Bierstadt, had several titles. One title was, The Day I Did Not Die. But I ultimately felt that Stupid Ideas Melissa Had was more fitting. First, let me say thank you to Cindy, who was awesome enough to watch Wingus & Dingus for us for half a day. Naturally they were great for her, not the attitude Mom & Dad get. 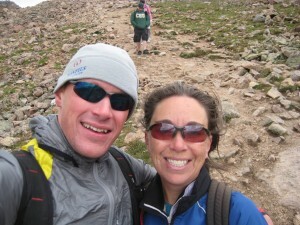 Secondly, thank you to Jo & Geoff, my hiking buddies. Especially to Geoff, whom I could not have done it without. For real. 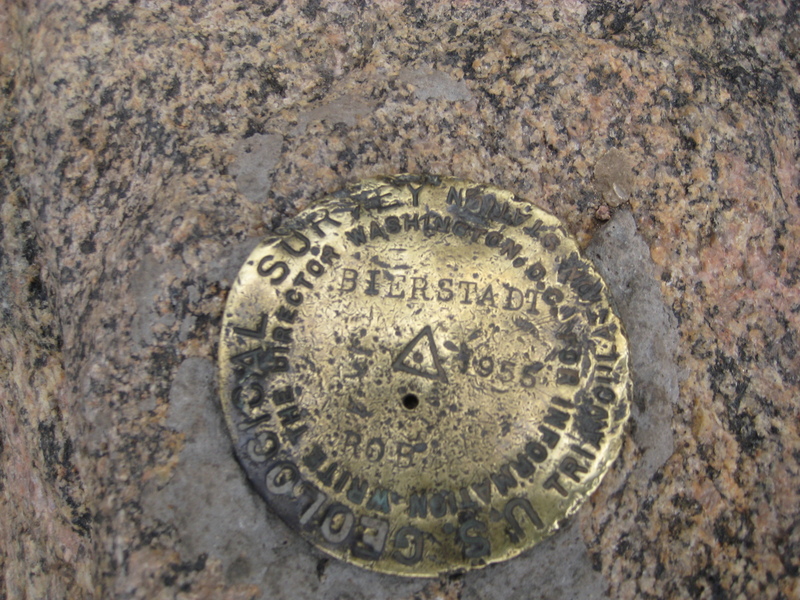 Okay, so when people said Mt Beirstadt was one of the easier 14ers to do, that DOES NOT mean easy. It means easier. 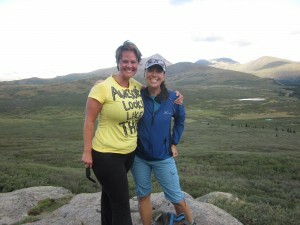 Like you hike already and can totally do it. Perhaps I did not “condition” myself enough to tackle a hike of this length. Length. 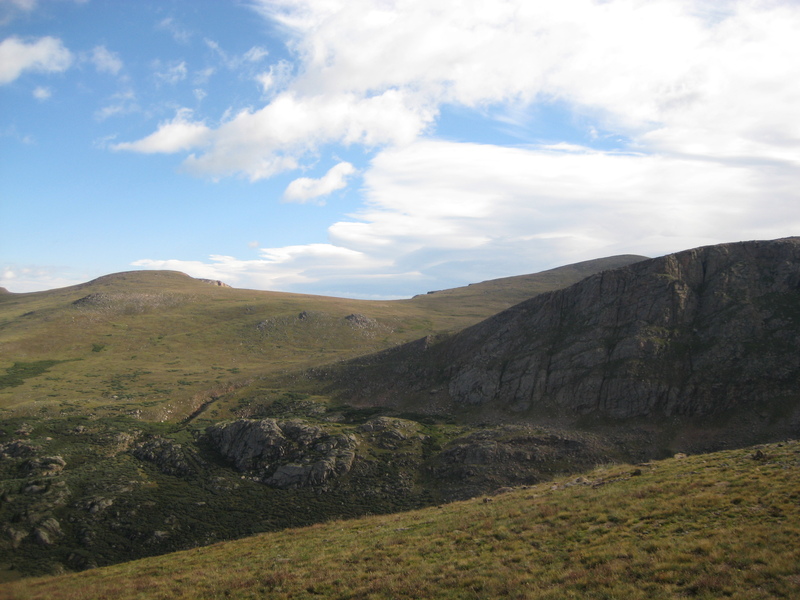 I swear up and down, every site said this hike is 7 miles roundtrip. This is hands down the longest 7 miles known to man! Perhaps my decision to donate blood 2 days before this hike, wasn’t the best timing. 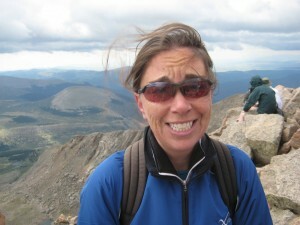 Acute Mountain Sickness, isn’t so cute. Yeah, I got the crazies when we got up high. My symptoms included headache, rapid heart beating, shortness of breath, fatigue, and confusion. I really thought I was going to be okay. I envisioned the hike *much* differently than it actually went. 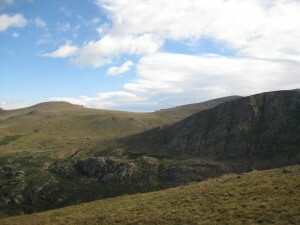 I thought, I’m in good shape, I can totally go on a Class II/Class III mountain hike/climb. I did have enough water and plenty of food. I did not have enough warm clothes. The views were amazing! Truly breathtaking (pun intended). 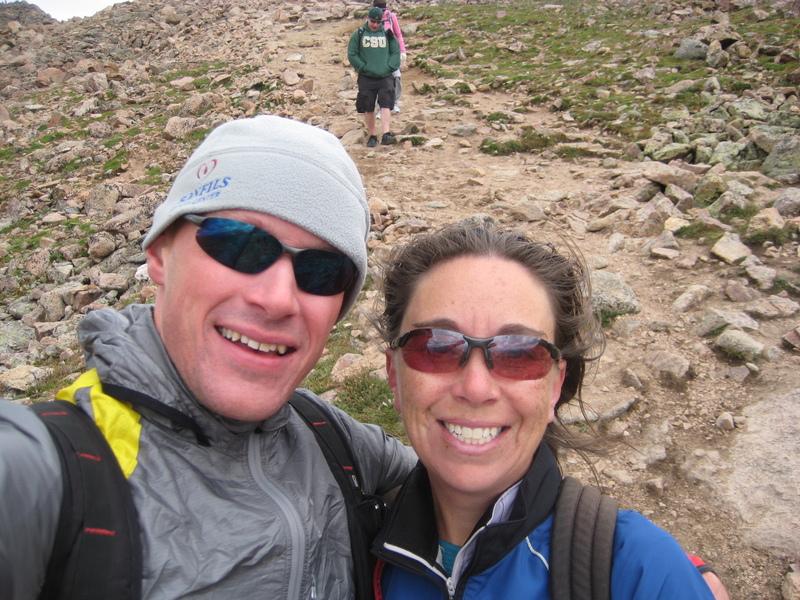 Once we reached the Class III stuff, having to scramble up rocks with our hands, I was ready to cry and quit. And I would have, if Geoff would have let me. He pushed me, encouraged me, holding my hand, sometimes pulling me up. As obvious as it sounds, we conquered a mountain! 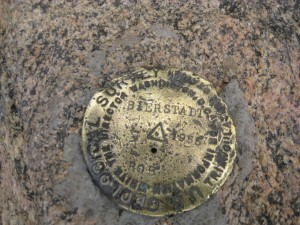 We found the USGS marker, ate a small snack, drank more water, and then the 40 mile/hour winds made us want to descend. Plus you know, I had the crazies. On the rocky descent, we found Jo & her hiking buddy Elisabeth (who we had ditched to start the ascent of the rocks). I hugged her hard, gave some encouragement and went down as fast as I could. 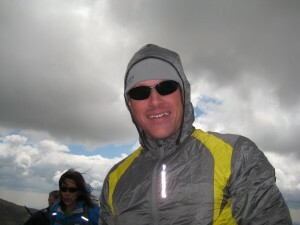 Once the crazies were fading, and those 40 mile an hour winds were less, I was able to pose for a pic with my fella. Geoff & I in a less windy spot. Going back to the car was painful. I was exhausted, and I just had to keep putting one foot in front of the next. 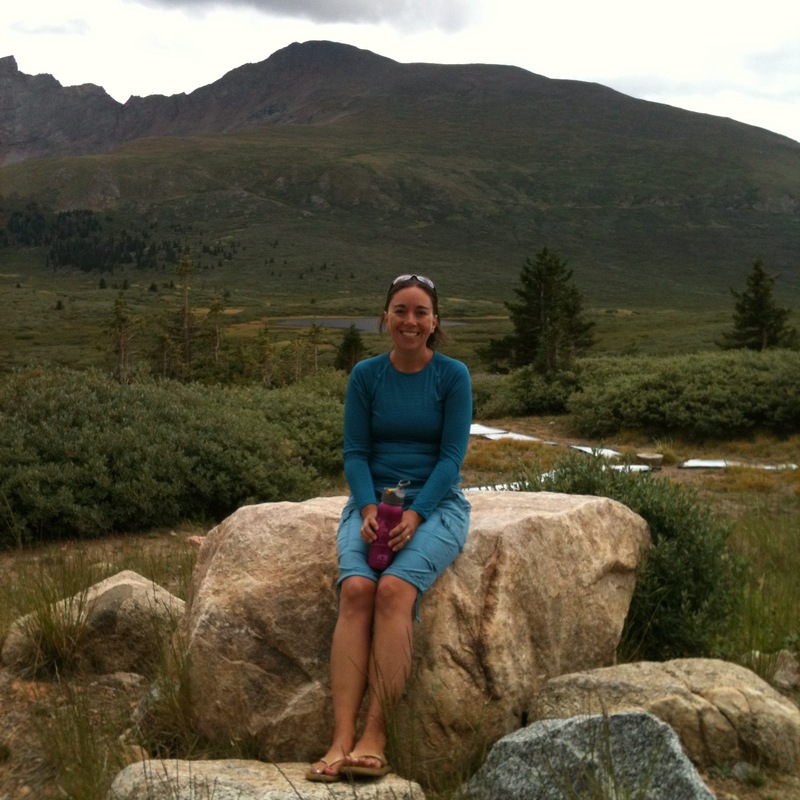 I did have the energy to chat with a mom who was also tackling this mountain as her first 14er, with her husband and 10 year old son. Yeah, there were a lot of kids on this hike. What troopers! We made it back to the car, and clocked this hike around 6 hours. I was happy with my decision to bring flip flops to wear home in the car. Even happier that I had taken the advice of the guy at REI and put vaseline all over my feet before putting on my socks. I had no blisters, no blood, just soreness in my feet. Well now that it is over, would I do it again? My body says, in the battle of Melissa vs the Mountain, the victory went to me. I hurt oh so much. Leaning towards no, but my two little guys are begging to tackle their own mountain. Too soon to say. Would I recommend this adventure to others? Absolutely. Pushing yourself to the point of tears, seeing God’s creation from on high, it’s something you need to experience. But for heaven’s sake, prepare for it!!! 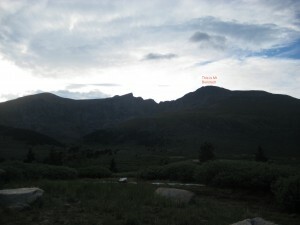 This entry was posted in colorado and tagged Bierstadt, Colorado 14ers, Fourteeners by melissius. Bookmark the permalink. Glen and I are proud of you, Melissa! You overcame much to reach your goal.